As our essay and podcast series flourish and a long, hot August stretches ahead, we’ve been inspired to create our first ever podcast playlist. We’re sharing not only our essay podcasts with you about the history of Big Local, space, place and people, faith and heritage; we're including riveting stories and conversations from other people too. Put your feet up, your headphones in and listen at your leisure. 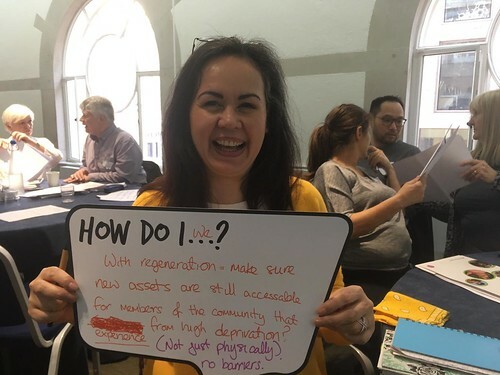 Our first podcast examines where the Big Local programme sits in a wider historical context of community development, decline and revitalisation. Narrated by Julian Dobson, author of our essay 'New seeds beneath the snow?' with roundtable contributions from policy makers, strategists and thinkers from across the country, this podcast discusses the long term impact mutual aid and self help can have on communities that have felt systematically 'left behind' by both national legislation and public services. Professor Sir Michael Marmot is interviewed on Radio 4's legendary Dessert Island Discs about what the key factors are in leading a long and healthy life and how your income and post code can affect your life expectancy. He says "What I contribute to the policy debate is that I bring evidence - I don't do the skulduggery of politics." New Economics Foundation: Is it the end of the road for the high street? Is British shopping in crisis? Major names are struggling or closing down, nearly 22,000 jobs are at risk, and the UK now has an estimated 1,800 fewer high street shops than it had a year ago. Are we all just moving online and shopping from our sofas, or is this a sign that our economy might be in deeper trouble? Does Brexit have anything to do with it? Will Greggs be okay? Ayeisha Thomas-Smith is joined by Krissie Nicolson, founding organiser of the East End Trades Guild, and Will Brett, NEF’s director of communications.